Kevin Anderson saved a match point and strengthened his Nitto ATP Finals bid on Monday, beating recent China Open champion Nikoloz Basilashvili 4-6, 7-6(6), 6-3 to start the Erste Bank Open 500 in Vienna. The South African is trying to make his debut at the prestigious season finale, to be held 11-18 November at The O2 in London. Anderson is in seventh place in the ATP Race To London, with 3,765 points, 105 behind sixth-placed Marin Cilic (3,870), who advanced on Monday at the Swiss Indoors Basel. The top eight in the Race on 5 November qualify. Basilashvili, who reached a career-high No. 23 in the ATP Rankings earlier this month, had a match point at 6/5 in the second-set tie-break. But Anderson won the final three points of the tie-break to force a third set, where he broke in the seventh and ninth games to advance. The second seed will next meet Austrian wild card Jurgen Melzer, who beat former World No. 3 Milos Raonic 7-6(6), 7-5. The 37-year-old Melzer is playing in his final singles tournament. Hungary’s Marton Fucsovics knocked out #NextGenATP wild card Felix Auger-Aliassime of Canada 1-6, 6-0, 7-5 in two hours and six minutes. Fucsovics, the Banque Eric Sturdza Geneva Open titlist (d. Gojowczyk) in May, won eight straight games from the start of the second set to 2-0 in the third set. Russia’s Andrey Rublev, who is in contention for a spot at the Next Gen ATP Finals in Milan from 6-10 November, overcame American qualifier Denis Kudla 7-6(3), 6-0 in 61 minutes. Rublev is currently in seventh position in the ATP Race To Milan. Sixth seed Borna Coric, the Rolex Shanghai Masters finalist (l. to Djokovic), held off Spain’s Albert Ramos-Vinolas 6-7(5), 6-0, 6-4. Third seed Marin Cilic won his first tournament match since 3 September on Monday at the Swiss Indoors Basel. The 2016 champion routed #NextGenATP Canadian Denis Shapovalov 6-4, 6-2. Cilic raced to a 4-0 lead in the first before Shapovalov came back. But the Croatian rode two breaks and benefitted from 23 unforced errors from the left-hander in the second set to reach the second round, where he’ll face either Romanian Marius Copil or Ryan Harrison of the U.S.
Cilic, after reaching the US Open quarter-finals (l. to Nishikori), endured a pair of close losses during the Asian swing. The top seed twice served for the match in his Tokyo opener against Germany’s Jan-Lennard Struff but fell in three sets. In Shanghai, Cilic held two match points but Chilean Nicolas Jarry sprung the upset. 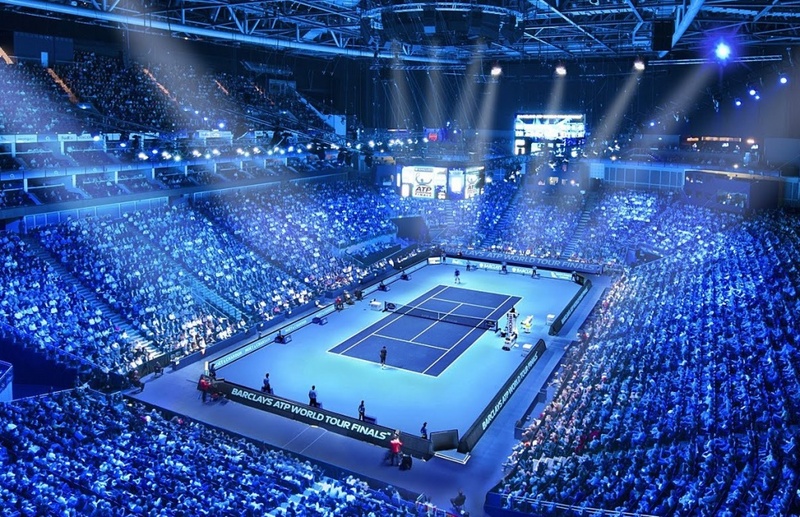 The Croatian is looking to qualify for the Nitto ATP Finals, to be held 11-18 November at The O2 in London, for the fourth time. Cilic is in sixth place in the ATP Race To London and next in line to qualify. Earlier in Basel, #NextGenATP American Taylor Fritz earned his first Basel win, beating Serbian qualifier Laslo Djere 6-0, 7-5. The 20-year-old Fritz will make his debut at the Next Gen ATP Finals in Milan next month. Eight players will compete at the 21-and-under event, to be held 6-10 November at the Fiera Milano, and only two direct qualification spots remain. The eighth and final position will be reserved for the winner of an all-Italian qualifying tournament to finish 4 November. Germans Alexander Zverev and Mischa Zverev battled back to beat Americans Nicholas Monroe and Jack Sock 4-6, 7-6(2), 10-4 in one hour and 35 minutes for a place in the quarter-finals. The brothers won five of the first six points in the Match tie-break. Elsewhere, third seeds Jean-Julien Rojer and Horia Tecau knocked out Dutchmen Robin Haase and Matwe Middelkoop 6-3, 6-4 in 55 minutes, while fourth seeds Rohan Bopanna and Marcel Granollers swept past Spanish qualifiers Guillermo Garcia-Lopez and David Marrero 6-1, 6-4 in 58 minutes. Roger Federer thought his days of competing for a Swiss Indoors Basel title were done. It was 2001, 17 years and eight Basel titles ago, and Federer had just lost to Brit Tim Henman in his second hometown final. The Swiss thought the lifelong dream that he’d had since he was a ball boy for two years at the tournament – winning the Basel title – would never happen. “I was never going to win, period. That was it. Because I thought I had two chances, I wasted both opportunities… You don’t get many more opportunities,” Federer said. He’s had a few more chances since then. Federer will go for his ninth Swiss Indoors Basel title this week. The 37-year-old is 66-9 at the ATP World Tour 500-level event, has reached the final in 11 straight appearances (2006-15, 2017) – and 13 overall. And, since his loss to Juan Martin del Potro in the 2013 final, Federer has won 15 consecutive matches in his hometown. The trip home comes with a unique set of pressures for Federer. He’s thrilled to be in familiar territory, but he’s also eager to make his stay last. “I enjoy myself, No. 1 here in Basel, because it’s where I grew up, I have so many memories… A lot of friends and people I know here from in the organisation… come to watch. 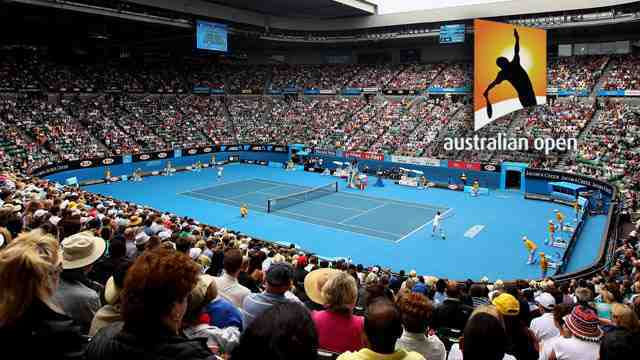 So of course I love being in the area,” Federer said. “With that, comes pressure. I want to do well, I want to stay here as long as possible. Because in tennis, when you lose you leave… And just because it’s gone well in previous years doesn’t mean automatically it’s going to happen again. Some of the pressure on Federer in Basel has been relieved because he’s already booked his spot at the Nitto ATP Finals, to be held 11-18 November at The O2 in London. He will make his 16th visit to the season finale (2002-15, 2017) and go for his seventh title (2003-04, 2006-07, 2010-11). “It’s always good having qualified way before the Race heats up, after the US Open. Because [if you haven’t], then you’re really thinking about rankings, you’re thinking about the struggle, having to qualify, having to produce results under pressure, not that we’re not used to that, but it’s just different, because normally we can just go play tennis,” Federer said. Kiki Bertens shocked Angelique Kerber at the WTA Finals after a deciding set that included seven breaks of serve. Dutch player Bertens, 26, lost her serve twice as Kerber took set one 6-1, but turned the match in set two when much of Kerber’s poise disappeared. And Wimbledon champion Kerber, 30, was broken four times in the decider as Bertens overcame three breaks on her own serve to win 1-6, 6-3, 6-4. Earlier on Monday, American Sloane Stephens beat Japan’s Naomi Osaka. After being level following two sets that took one hour and 47 minutes, Stephens pounced to beat the US Open champion 7-5, 4-6, 6-1. The deciding set was not without controversy as trailing 1-0, Osaka failed to challenge a call that would have given her the second game when Stephens appeared to double fault. And the 21-year-old paid for her 46 unforced errors, 15 more than Stephens, who later said the Singapore venue was providing “weird” bounces for players. Bertens’ upset is the biggest of the finals so far as the lowest ranked player of the eight in the tournament overcame the highest. Kerber – ranked number two in the world – ultimately wilted under the attack of the world number nine, who fired 33 winners, helping mask a dozen double faults. Bertens is the first Dutch woman to break into the world’s top 10 since Brenda Schultz-McCarthy in 1996 but only entered the tournament for the top eight players in the world when Simona Halep withdrew through injury. From the eighth game in set two, Kerber lost her serve five times in a row, leaving her 4-3 down on Bertens’ serve in the decider. And Bertens celebrated wildly as she closed out, an outcome that looked highly unlikely after Kerber’s dominant display in the opening set. The WTA Finals features the leading eight players this year, split into two groups of four. All eight have now played once and the top two players from each round-robin group will progress to the semi-finals, with the final on 28 October. For Jurgen Melzer, this week will bring inner peace. As he arrives for the Erste Bank Open 500, at the back of a concert hall with its grey-slab walls, the Austrian will walk down the steps and into the players’ lounge, the hub of the action and onto a lift, where, via a maze of corridors, you hit practice courts, locker rooms, a gym and the media centre. Running in a horse-shoe shape around the arena is a fan area and further practice courts, where spectators can catch a glimpse of ATP World Tour stars through a frosted bubble. It is a familiar scene. Hall D of the Wiener Stadthalle is largely unchanged. 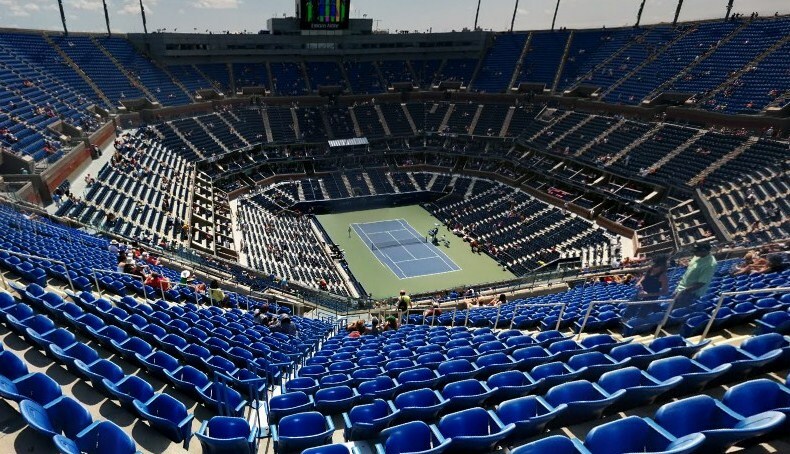 The trip will evoke special memories for Melzer, who first came here as a teenaged tennis wannabe, a hopeful fan with dreams of competing on Center Court, which seats more than 16,000. Today, as he strides out to play Canada’s Milos Raonic, the 37-year-old will step into singles retirement at the very tournament where he hoped to end his career. Memories will flood back of his first ATP World Tour win in 1999 (d. Burgsmuller), of his back-to-back triumphs in 2009 and 2010, and also some tough losses in 16 visits. Ever since he won junior Wimbledon in 1999, with victory over Kristian Pless, Melzer was hailed as the successor to former World No. 1 Thomas Muster. A target was on his chest and the pressure mounted. For years, Melzer believed he was the dedicated competitor that left no stone unturned. Yet he took a long time to realise it’s one thing to sign on a dotted line, turn professional and accept prize money; it’s another to be truly professional. It wasn’t until that the Austrian, with a fluent backhand and superb first volley, tuned 26 that he realised he needed to adjust his outlook. Melzer wishes he “could take back those years”, but it’s his memories of ranking in the Top 10 as a singles and doubles competitor, winning three Grand Slam championship titles — 2010 Wimbledon and 2011 US Open (men’s doubles), and 2011 Wimbledon (mixed doubles) — in addition to advancing to the 2010 Roland Garros semi-finals that he’ll forever treasure. Melzer got the monkey off his back In September 2016 at Bucharest. It was a massive relief. “Going into the Bucharest final, I went alone,” said Melzer. “My coach back then, Karl-Heinz Wetter, was at home. 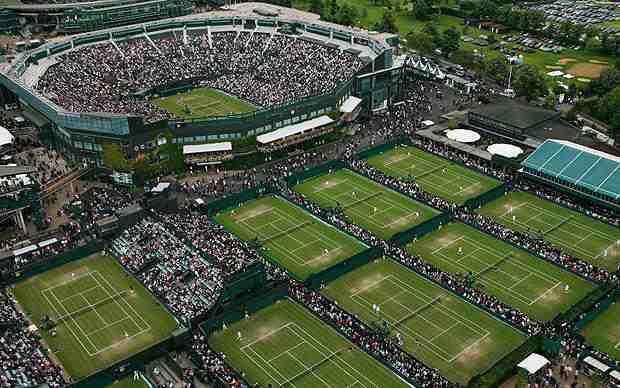 I was only there with Julian Knowle and we lost in the semi-finals of the doubles. My coach tried to fly in for the final and something happened with his flight, so he had to stay at home. It was kind of a weird feeling, but I knew I had to rely on myself.” The jigsaw puzzle was complete once he beat Filippo Volandri 6-1, 7-5 in the final. By 2010, Melzer’s career came to fruition and he played a total of 130 singles and doubles matches. In winning a personal best 51 singles matches, the Austrian finished in the year-end Top 20 for the first time and broke his streak of never having advanced beyond the third round at a Grand Slam championship. “After a while of losing prior to the third round, it got in my head,” explained Melzer. “I lost two third-round matches after being two sets up – once against Guillermo Coria at Wimbledon and once against Andy Murray at the US Open. There were other matches when I was the favourite going into the match, but I didn’t perform on the day. It took me a while to realise what it takes. 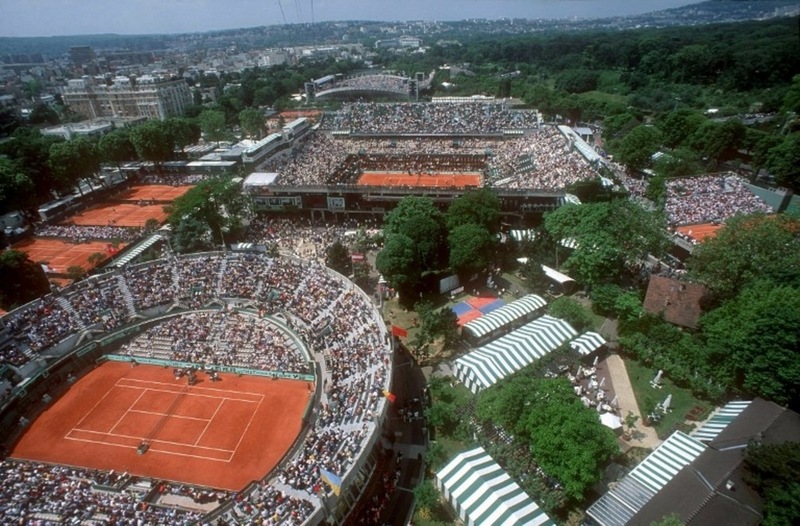 “At Roland Garros [in 2010], I passed the third round and reached the semi-finals. So it was really sweet. The tournament was my biggest success as a singles player, aside from winning two Vienna singles titles. The quarter-final against Novak [Djokovic] was the most memorable match of my career. Coming back from two sets down against Novak at a Grand Slam, hadn’t been done before or since my win. So every time Novak is two sets up and somebody wins the third set, that stat and my name will be thrown up in the future. Only two weeks ago, Melzer came through the latest start of his career at the Santo Domingo Open, an ATP Challenger Tour event. Stepping out onto court at 1 a.m. local time, after persistent, torrential rain from the outer bands of Hurricane Michael led to scheduling chaos, he beat Hugo Dellien in 90 minutes in the first round. It was another memorable day in a 20-season pro career, which includes 349 tour-level match wins and five ATP World Tour singles crowns from 13 finals. As the curtain falls on his singles career, the left-hander will now focus on the team game with renewed vigour. Editor’s Note: Melzer upset Raonic Monday to clinch his 350th tour-level match win. Kevin Anderson and Kei Nishikori, Lucas Pouille and Philipp Kohlschreiber, who are competing at the Erste Bank Open 500, visited the Vienna State Opera on Monday. Austria’s opera house, which employs more than 1,000 people, produces 50 to 60 operas per year and 10 ballet productions, including more than 350 performances. Home hope Dominic Thiem, who is currently eighth in the ATP Race To London for a spot at the season finale, to be held at The O2 in London from 11-18 November, leads the ATP World Tour 500 field in Vienna. Seventh-placed Anderson and 10th-positioned Nishikori are also in contention for the three remaining London singles berths. Britain’s Kyle Edmund cries with tears of joy on the court after securing a maiden ATP title against Gael Monfils at the European Open in Antwerp.